In our lastest video, we review the CCI A22 Magnum rimfire ammunition and take it out into the field for some varmint hunting. It’s only three minutes, so we hope you will watch it to the end to hear our honest and tested thoughts and results. We purchased this ammunition recently at a local outdoor shop and put it to the test at the range, as well as in the field. The rifle used for this test was a Browning A-Bolt .22 Magnum, topped with a Leupold 3-9 power rifle scope. This rifle has proven time and again, to be very accurate with almost any ammunition we feed it. 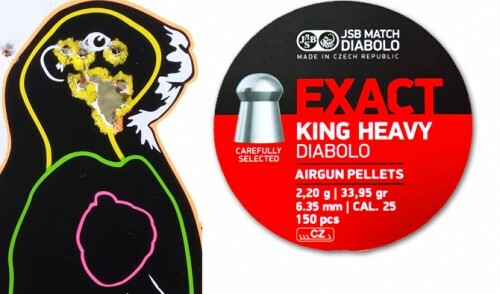 While testing this ammunition at the range, we were very surprised at how poor the ammunition shot. The groups ranged from 1.00″ to 1.5″ at 50 yards! After testing the A22 ammo, we ran a 5-shot magazine of another brand, just to make sure there was not any issues with the rifle or optic. 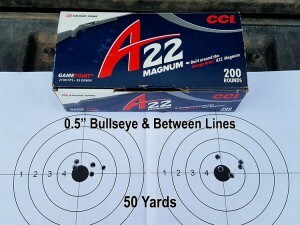 Those rounds shot very well, confirming our results from the A22 Magnum ammo. Our chronograph results were very close to the listed 2100 fps, with the average being 2089 fps. The results were also consistent, with a spread of only 20-30 fps. We are not sure why the ammo shot so poorly, but the information is out there and may be different in another rifle. 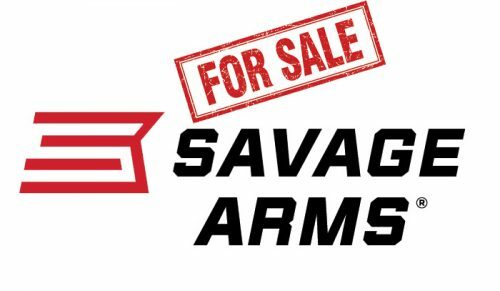 We have requested from Savage a B22 Magnum bolt-action rifle, but did not receive it in time for this review, so we went with the rifle we use frequently. Lastly, we did not experience any misfires, so the priming was up to CCI’s high-standard of reliability. 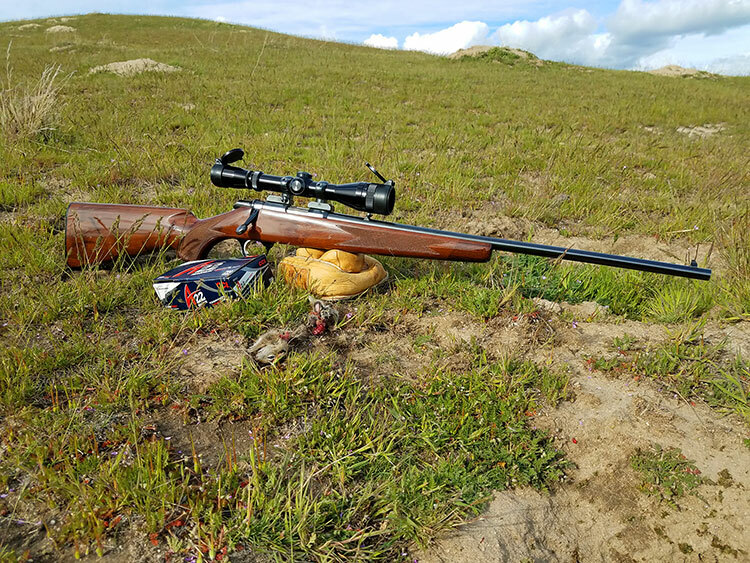 After our range time, we took it out to the field so I could shoot some ground squirrels with the ammo. Although I killed many ground squirrels, my kill ratio was not very good. With the ammunition not being very accurate in the Browning A-Bolt rifle, I found that these smaller targets were extremely difficult to kill at longer ranges. The ground squirrels that we shoot here in SW Idaho are very small when compared to the ones I used to shoot in California. Because of their small size, the 1.00″ to 1.5″ groups at 50 yards was the cause of some my misses (see video for sample misses). The good news is, the majority of the squirrels I hit showed the catastrophic damage from the 35 grain JSP bullet. One of the squirrels hit at 80 yards actually turned inside-out and had a decent flight time, which meant instant death and a clean kill. I have no doubt that the bullet is well-constructed for the job of killing varmints and small game quickly and efficiently. There are a few shots on video, so check them out! With any rimfire ammunition, accuracy is key. 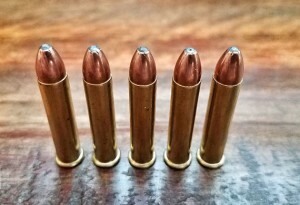 I am a strong believer in testing ammunition in your rifle before committing to a larger purchase, but always remembering that ammunition shoots differently depending on the individual rifle. With that being said, I really hope others have better luck than we did with this ammunition. 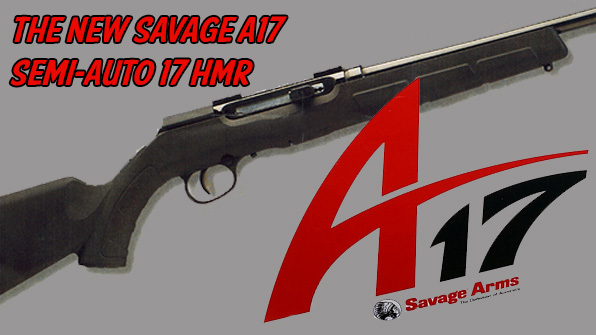 The predecessor to the A22 Magnum ammo was the A17 ammunition and that ammo performed very well, both at the range and in the field. We wish this was the same. 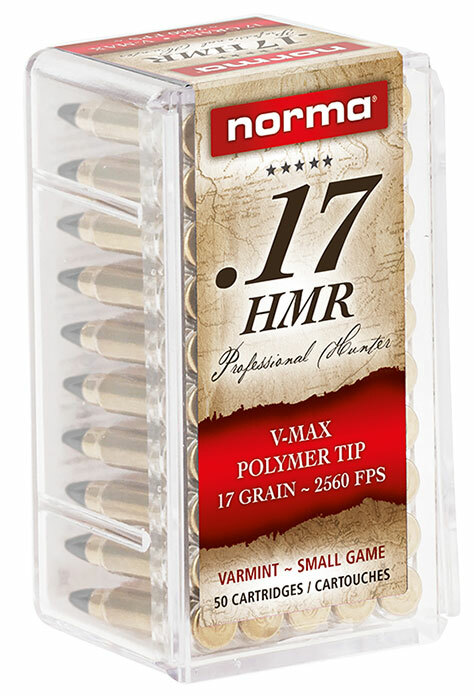 More .22 Magnum ammunition on the market is always a good thing, so if you try some and it works well for you, please let us know on our Varminter Forums. 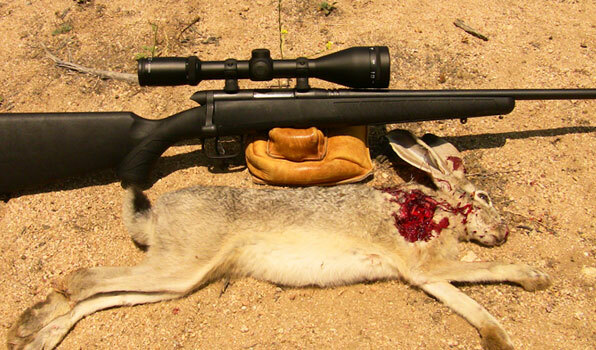 Summary: With any rimfire ammunition, accuracy is key. I am a strong believer in testing ammunition in your rifle before committing to a larger purchase, but always remembering that ammunition shoots differently depending on the individual rifle. With that being said, I really hope others have better luck than we did with this ammunition. The predecessor to the A22 Magnum ammo was the A17 ammunition and that ammo performed very well, both at the range and in the field. We wish this was the same. 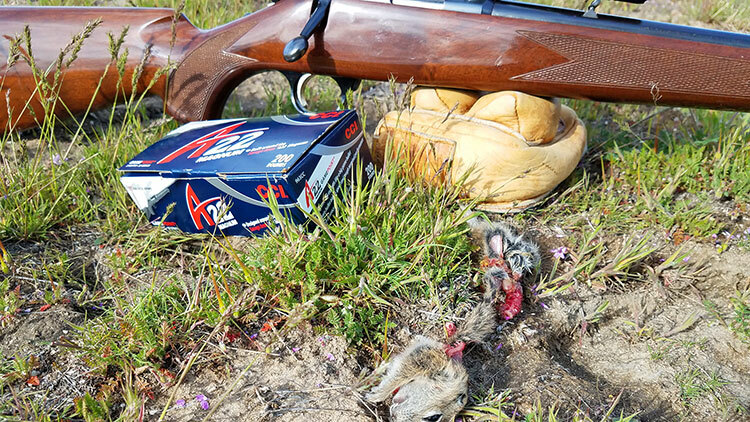 More .22 Magnum ammunition on the market is always a good thing, so if you try some and it works well for you, please let us know on our Varminter Forums. CCI A22 Magnum Rimfire Ammunition – Three Minute Ammo Review Eric Mayer April 30, 2017 With any rimfire ammunition, accuracy is key. I am a strong believer in testing ammunition in your rifle before committing to a larger purchase, but always remembering that ammunition shoots differently depending on the individual rifle. With that being said, I really hope others have better luck than we did with this ammunition. The predecessor to the A22 Magnum ammo was the A17 ammunition and that ammo performed very well, both at the range and in the field. We wish this was the same. 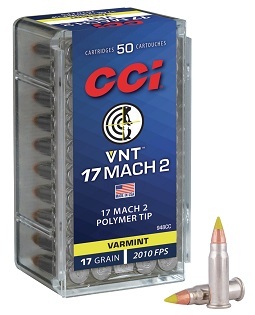 More .22 Magnum ammunition on the market is always a good thing, so if you try some and it works well for you, please let us know on our Varminter Forums.